After living 9 months in Austria immersed in the Austrian culture and German language, I can now confidently struggle with the choice of selecting German “Elementary proficiency” or “Limited working proficiency” on my Linkedin profile. For now, I’ve selected “Limited working proficiency” because I can A.) speak a limited amount of German at work, and because I still B.) chicken out on the phone and switch to English. That’s the meaning of “limited proficiency” right? Still, it might be more correct to select “Elementary proficiency” because I can A.) understand everything that 4-9 year olds are saying, and I can B.) have entire conversations with those little guys. It may not be a huge step in my language learning process to be able to claim “Elementary” and “Limited” proficiencies, but still, I’m pretty stoked about my progress regardless, especially after I made an important discovery a couple of weekends ago. My husband and I went out of town with our friend Thomas who took us outside of Vienna to a tiny, 300 person town called Lauffen. There we stayed with an adorable, sweet, elderly woman named Frieda who blessed us with free housing and morning coffee. During this time away, Thomas tried to kill us by claiming there was jaw-droppingly beautiful scenery to be gawked at if we hiked up to the top of a giant mountain with him. We barely survived the hike but Thomas was right and we did in fact drop our jaws at the scene that surrounded us. 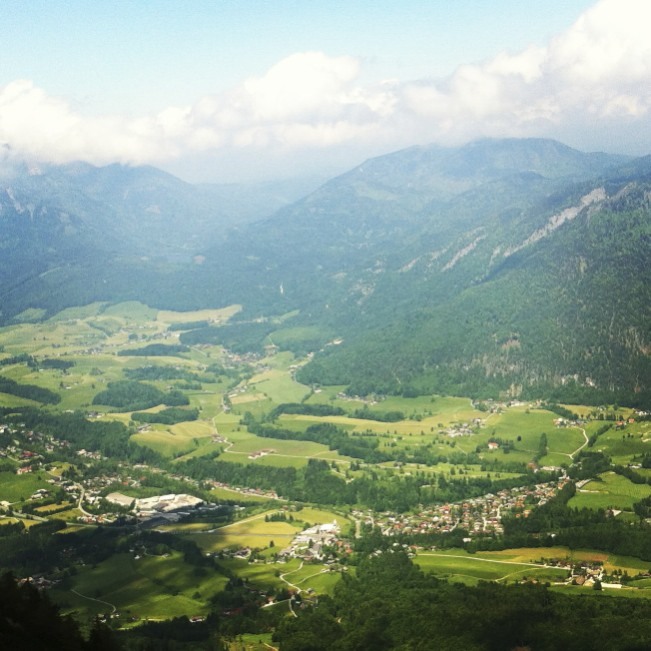 He also took us to Bad-Ischl – a similarly quaint and cute town in the mountains – to tour a summer home built for and regularly lived in by Franz Josef and the ever still popular (and still dead, if you don’t who she is) Sisi, as well as to tour and taste a famous salt mine in the mountains. Following our time in Bad-Ischl, we spent quite a bit of time in Hallstatt – a gorgeous town that is unlike any town I have ever seen in Europe – and toured a well known ice cave in which I was the coldest I have ever been in my entire life. It was during these tours that I made my important discovery. The important discovery being: Tour guides leave out stuff! And I don’t mean just “stuff”. I mean like, really interesting and huge parts of history that have to do with whatever or wherever it is that one is touring, and I now know this thanks to my German elementary/limited working proficiency. At first I felt a fair amount of nervousness as my husband and me knowingly paid to take an all-German tour of Franz Josef’s mansion, but much to my surprise, I understood our German-speaking tour guide as clear as day as did my husband and thus felt that we could do the rest of our tours all auf-Deutsch. The next tour we took, the salt mine in Bad-Ischl, was conducted in German but immediately translated into English due to the diversity of our group. This is where knowing both languages came in handy and cracked my husband and me up consistently. A dead man’s body was found preserved in salt. It was important to the history of the salt mine. That was it. No science, no list of facts, no explanation about how no one really knows where the men who discovered the body buried it, nothing – just, “…It was important to the history…”. 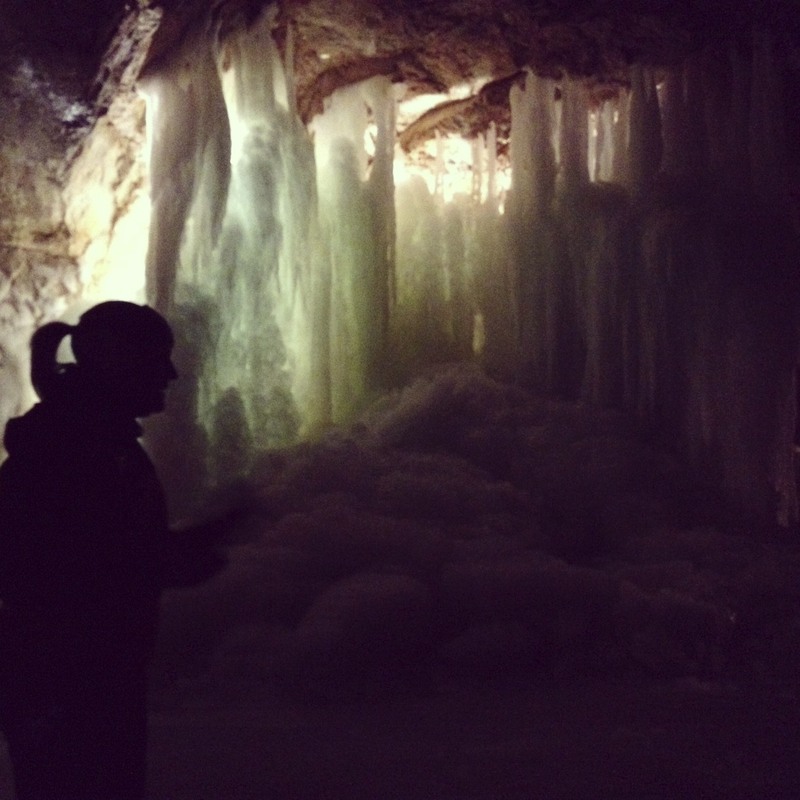 A similar instance happened again while touring the ice cave. Our tour guide spoke excellent English, and we genuinely felt that we learned quite a bit whenever she switched over to translate for the English speakers in our tour group. We understood her German, but we found it helpful to know both languages in case we missed important facts during her German explanation, specifically scientific terms. For example, we knew Stalaktit and Stalagmit had to be Stalactite and Stalagmite, but if she threw a word out like “Kalkstein”, then yeah we would just nod our heads and act like we totally knew what she was talking about until she translated everything in English. I mean seriously, who doesn’t know about “Kalkstein”? (In case you’re looking to impress someone the next time you’re talking about caves and such, Kalkstein is the German word for Limestone. You’re welcome.) The best part of the tour though, was when our tour guide told us a story about a bear. The story was fascinating (and sad) – a bear wandered in the cave hundreds of years ago and couldn’t get out due to an obvious lack of food in the ice cave, so it froze and years and years later, cave explorers came in and discovered the bear’s bones. It didn’t take her a long time to tell the story, but it was very interesting and informative and so we looked forward to hearing the fuller story in English. But we didn’t hear it. Instead, in English, she went straight to, “And now we are going up this flight of stairs here…”, leaving out the bear story entirely. I was tempted to blurt out “BUT WHAT ABOUT THE BEAR? !” in English to make sure I hadn’t missed any details and also so my fellow English speaking companions could learn about the ancient bear too, but I figured our nice tour guide wouldn’t appreciate my language flip-flop, and I also very much enjoyed feeling like I had obtained a super power. I believe all those who understood German left these tours feeling knowledgeable, informed, and further interested while all those who did not understand German left the tours feeling, well, probably exactly the same, with maybe a hint of “Does anyone else feel like the guide may have left out some things?”.